This week’s weather – green is good! Over the past week unsettled weather in this region kept us aboard Blue Heeler. 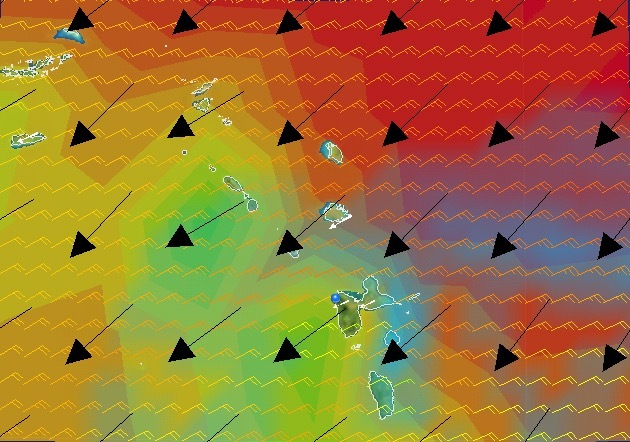 Before the worst of the weather, we moved 8nm north of Pigeon Island to the anchorage at Deshaies on the north west corner of Basse Terre, Guadaloupe. We’ve visited Deshaies a couple of times before as this is a port of entry. There’s a few good restaurants, pizza places, a fantastic boulangerie and a Spar supermarket if you need any groceries. A few fresh veggie stalls are open along the main street too. 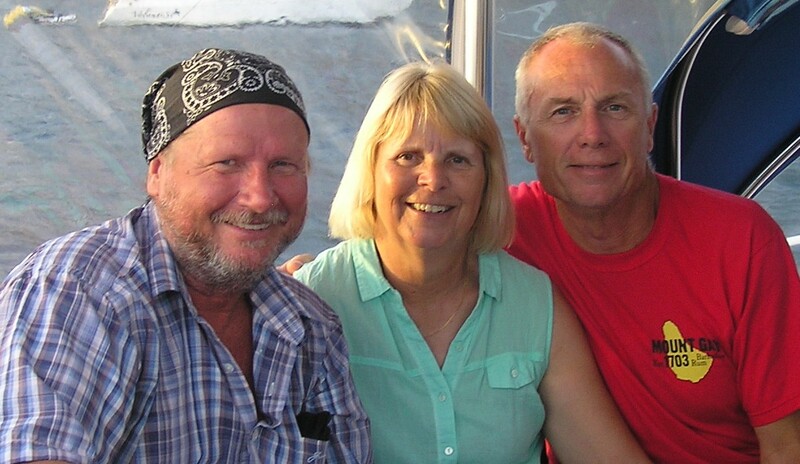 Before leaving Pigeon Island however, we were happy to meet again with Rob and Josien from Dutch yacht Inish who we hadn’t seen since South Africa in early 2015 – two years ago! Another surprise at Deshaies was to catch up with Kiwis Brian and Gail from Dol’Selene who we last saw back in Thailand in late 2013. 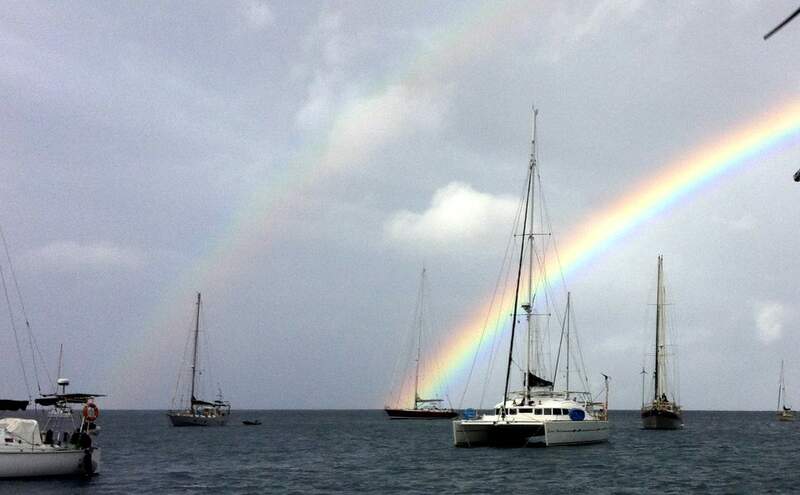 I expected the weather at this time of the year to be quite stable with fair winds, as this is the peak sailing period. Surprisingly though the winds have been consistently around 20-25 knots, peaking up to 35knots, while squalls of 45-50 knots blowing through the anchorages have also been reported. Seas to the east of the island chain were up between 3-5m which is uncomfortable to say the least. With the high volume of yachts out here there are plenty of distress calls as sailors make way between the islands. Why they are out in that weather I don’t know (I think I’ve gone soft!). As evening approaches in the anchorage, a flotilla of yachts, particularly chartered yachts, charge into the anchorage searching for an ideal spot to drop their anchor. It’s always a spectacle as they try to squeeze into a space that is clearly not suitable to anchor as their presence is often too close to other boats. Reminds me of someone who searches for the elusive carpark at the front of the supermarket parking lot, only to park way down the back. Fortunately for us, no-one anchored too close to us during the blow, although many boats anchored very close to others causing headaches for crew overnight. We saw a few boats drag, but each time the skippers were on board to save their vessel from damage. 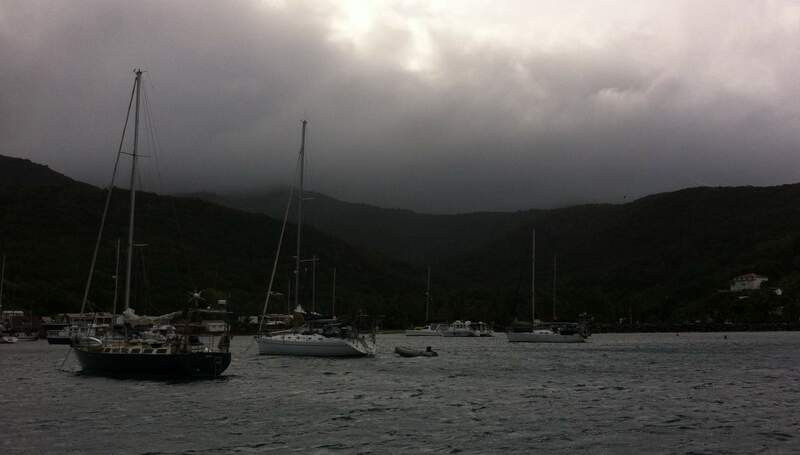 So after weeks of enjoying the French islands, the weather has fined up and our time in Guadaloupe is over. 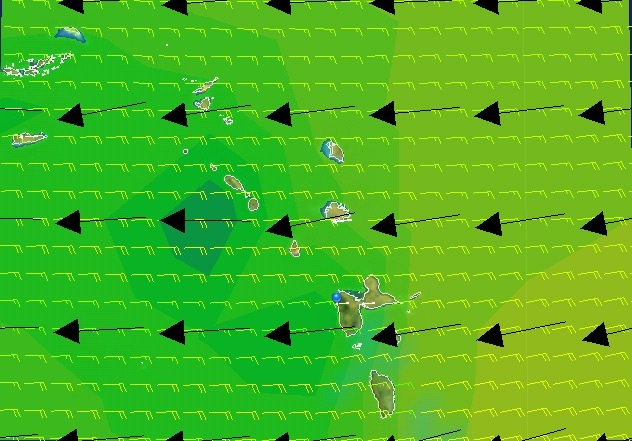 Winds are between 16-23kn and seas have abated to almost 1.5m. A quick stop to La Pelican on the main street to complete the online check-out form, grab a fresh baguette, then tomorrow we head towards the island of Montserrat. Aside | This entry was posted in 2017, Guadaloupe and tagged Caribbean, Deshaie, Guadaloupe. Bookmark the permalink.